Tulalip Tribes Board of Directors prepare to break ground on new Quil Ceda Creek Casino with celebratory gold shovels. 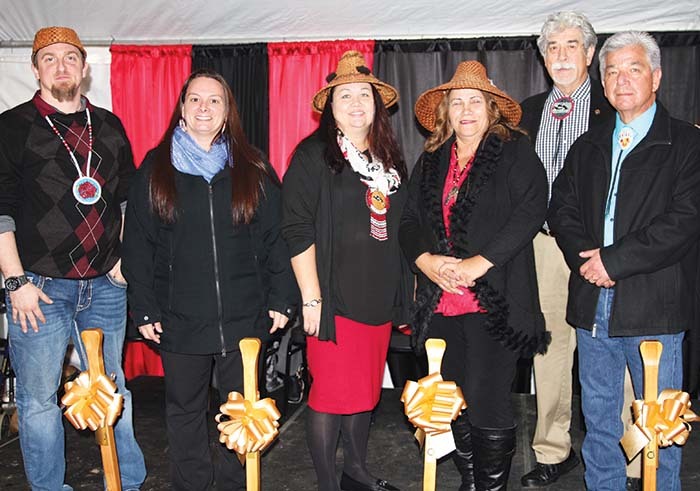 Members of the Tulalip Tribes, various officials, and employees were in attendance at a groundbreaking ceremony held at the future site of the new Quil Ceda Creek Casino (QCC) on Tuesday, December 12. The multi-million dollar project to relocate the QCC facility from its current location to a sixteen-acre property across the street is based on a number of factors, the most prominent being a stagnant revenue stream that is unable to grow due to logistical and structural challenges posed by the current facility. The new casino will span across 110,000 square feet that will allow for 1,500 gaming machines, a lofty increase from the current 1,000 operating at the existing QCC. Besides the additional 500 machines, there will be additional table games, an innovative dining hall experience, an upgraded entertainment venue, and a state of the art smoke elimination system included in the new QCC. In recent weeks, the Tribe announced the new QCC with also feature a 150-room hotel and 1,200-stall parking garage. The property will be called Quil Ceda Creek Casino Hotel and is expected to open in spring 2019. 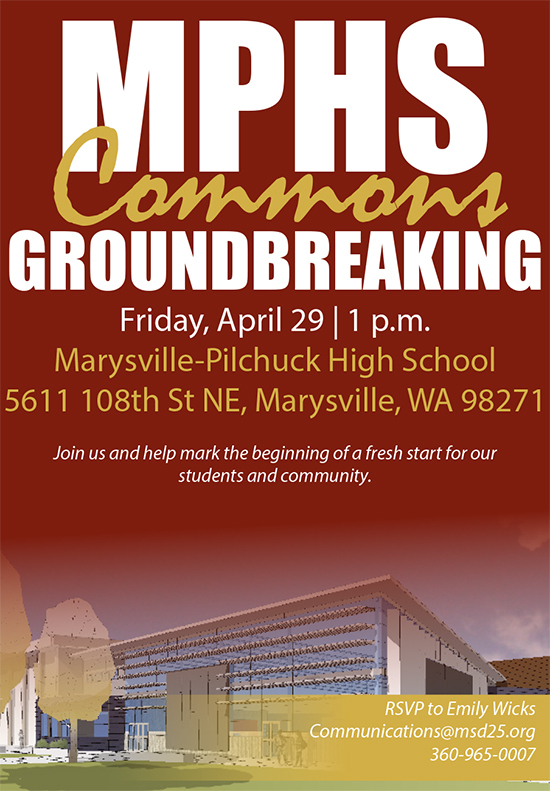 Please join Marysville School District staff, teachers, students, and families for a groundbreaking ceremony marking the beginning of a fresh start for our students and community. Friday, April 29, 2016 at 1 p.m.